Grilling up some thit nuong in Hoi An's old town. All photos courtesy of The Funnelogy Channel. Gabriella Zanzanaini and Nicolas Petit of , one of Gentedimontagna's 24 Best Travel Blogs and Websites of 2015, stopped by Vietnam while traveling from Brussels to Hong Kong. 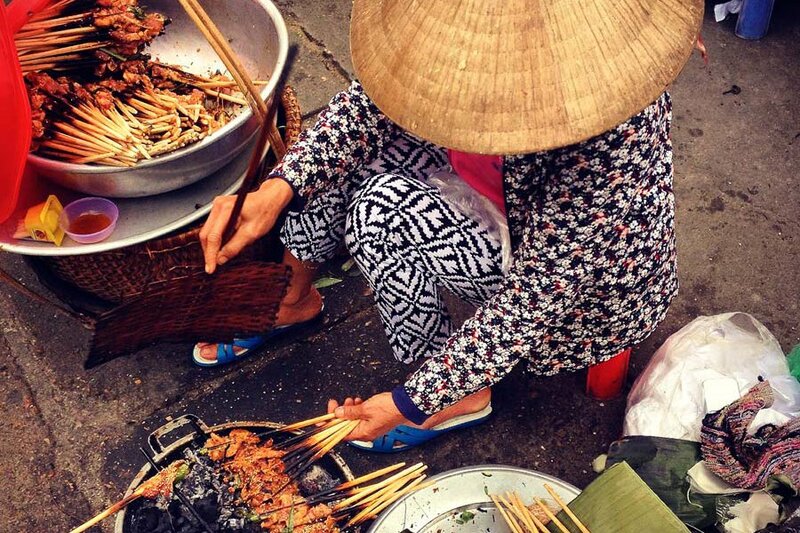 In a highly delectable #GentedimontagnaTakeover, they gave us a step-by-step visual guide to finding the best street food in Hoi An and Hanoi. 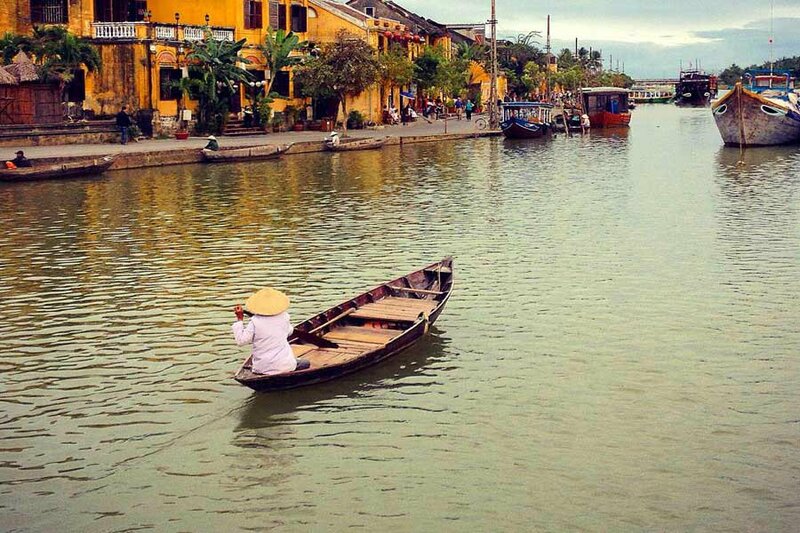 Before we begin our InstaGuide to Vietnam street food, let's start with a cruise down Hoi An's river. Do not be fooled by English menus in pretty restaurants, the best food in Vietnam is found on the streets. Follow your instincts: your eyes, your nose, your palate. Look for the little red plastic stools in Hanoi's old quarter, they almost always lead to fantastic discoveries and perhaps the best street food in the world. Find someone grilling or steaming away and decide what smells best. This thit nuong at the gates of Hoi An's old town hits the spot. Do-it-yourself juicy grilled pork skewers wrapped in rice paper with a mountain of herbs. 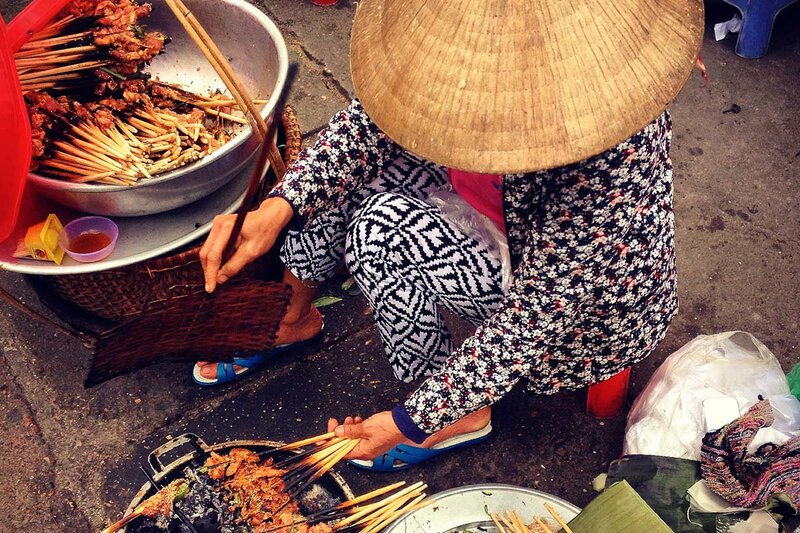 In Hoi An, leave the main streets of the old town and head to the Tan An market. 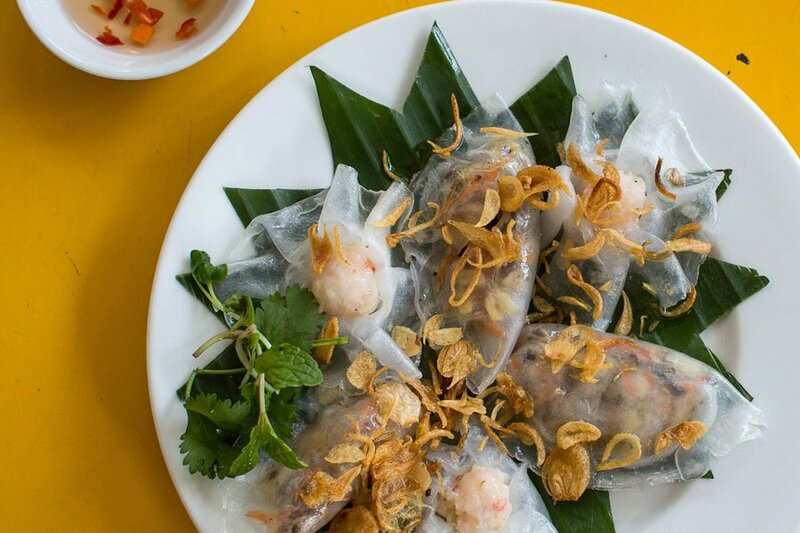 We found a lady sizzling up one of our favorite finds, bánh cãn. 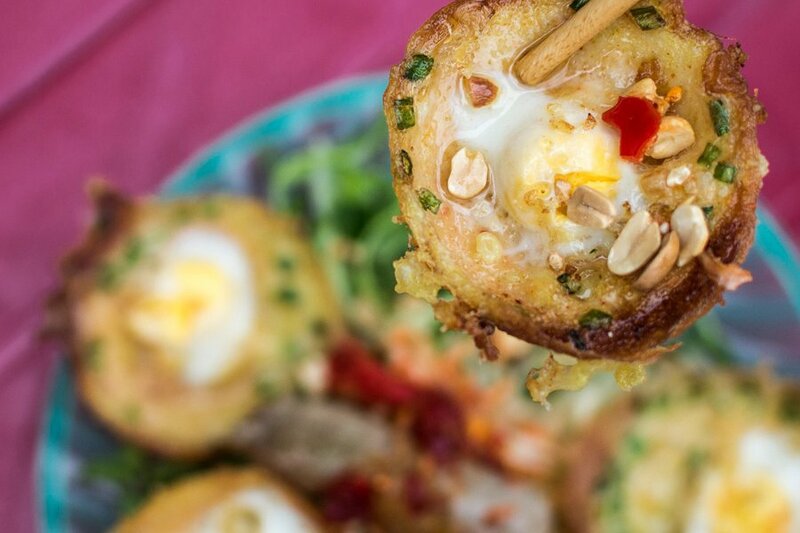 Popular in the southern region, these particular rice flour fritters have quail eggs dropped into the batter and are topped with a young papaya salad, herbs, pork sausage, and the mandatory nuoc cham sauce. Add a touch of chili and devour. 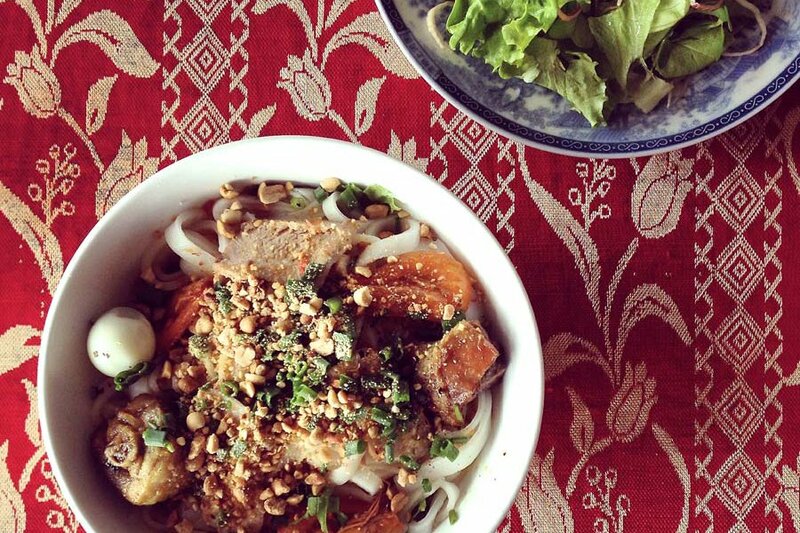 One of Vietnam's most famous culinary exports is pho, but have you tried a mi quang? Much loved in the central southern region, these noodles are chewier with only a ladle of strong broth added. It can be rich with pork, chicken, and shrimp, but the best part is the crispy cracker that comes with all the toppings. 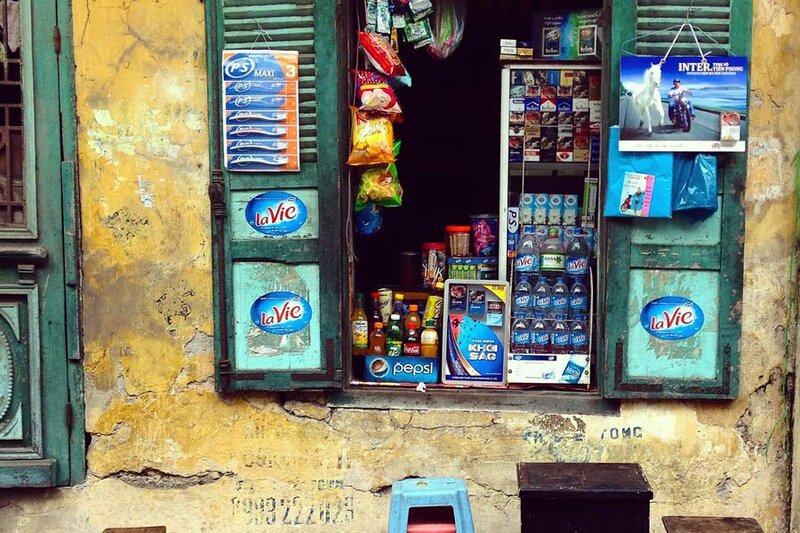 The best one we found was on the outskirts of Hoi An, so grab a bicycle and explore. After all the food hunting and cycling, there is only one thing left to do before repeating the whole process for dinner. 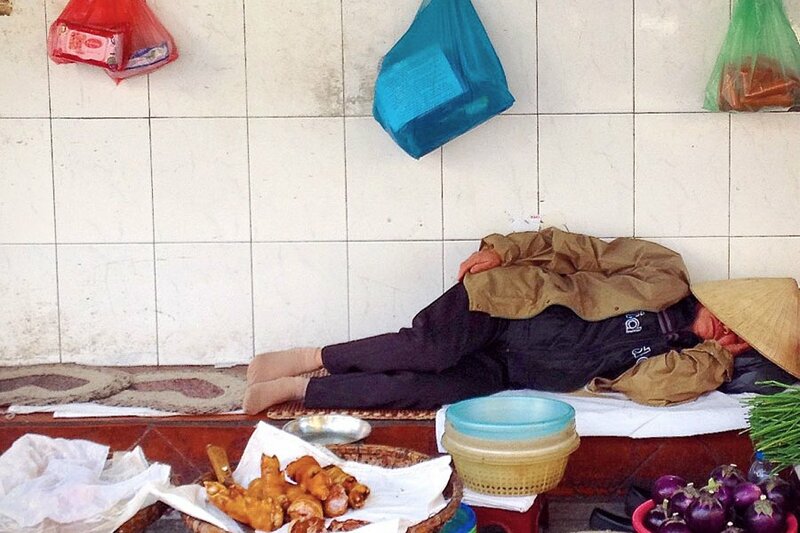 Follow this hardworking vendor (in Hanoi's Dong Xuan market) and take an afternoon siesta. 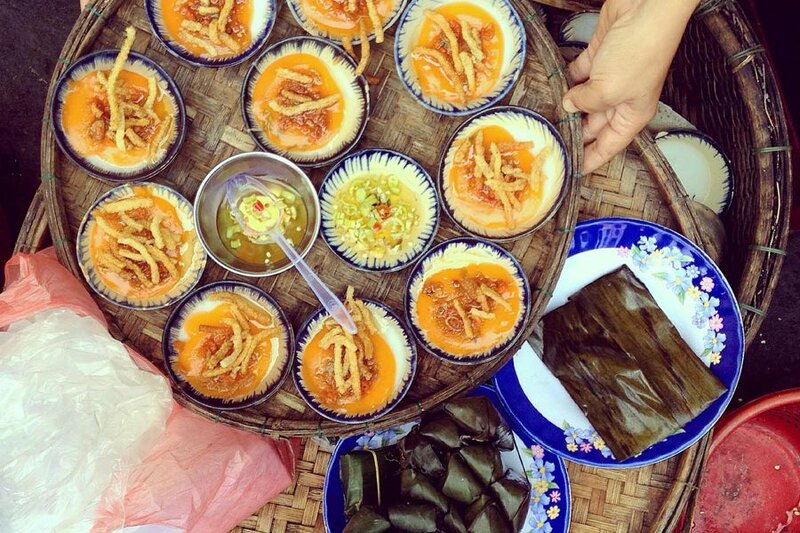 These little steamer rice cakes, bánh beo, are named after their water fern shape. They hail from Hue, but the best ones were made by Hao, a lovely lady in Hoàng Van Thu road in Hoi An's old town. Go for the delicate cakes topped with dried shrimps scallions and mung bean paste. She's there daily, from 2-5 p.m. Recognize the Gentedimontagna logo under these beautiful steamed dumplings? Bánh bao vac, also known as white rose, is a specialty of Hoi An. Supposedly named by the French for their flower petal resemblance, they are translucent, chewy, and stuffed with shrimp. Not only does it taste better on the street, the setting is often unbeatable. 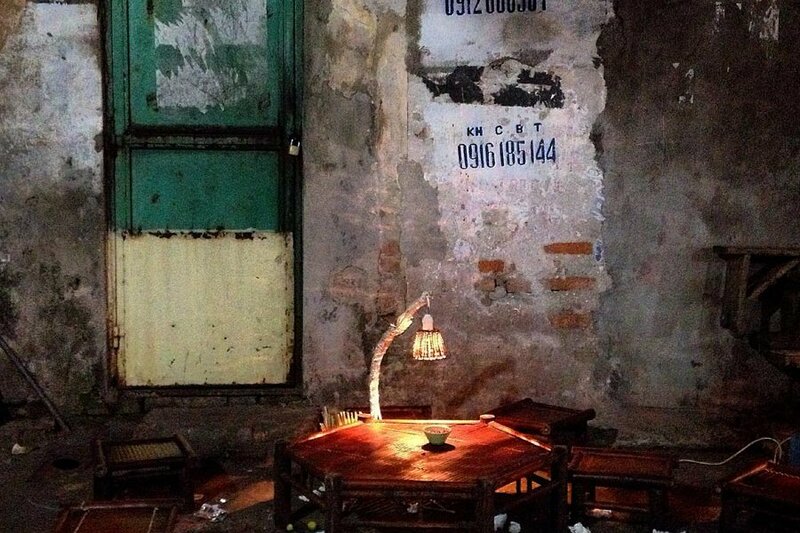 Roam the back alleys of Hanoi's old quarter till you spot some gorgeous lamps. Then sit down to grilled pork ribs, roasted quail, and bun (rice vermicelli). The list of food is neverending, but to top it all off make sure you get a sweet, luscious coconut coffee. 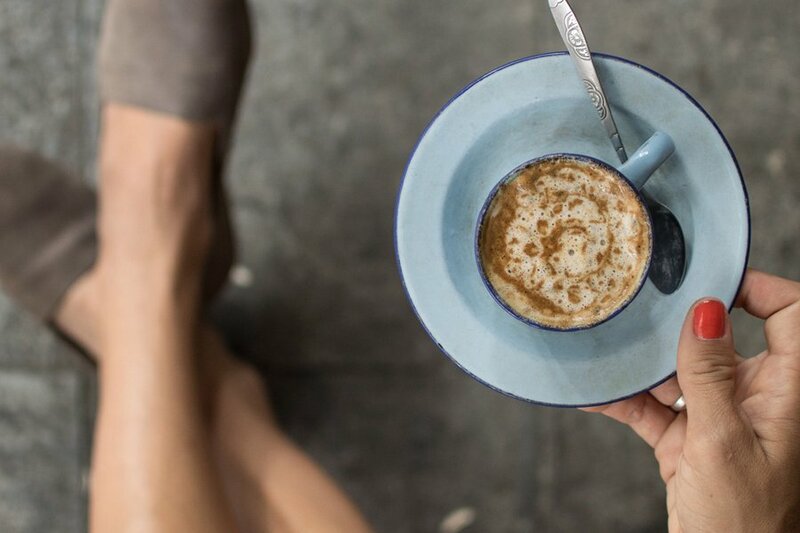 Head to Cong Caphé on the corner of Nhá Chung in Hanoi's Hoan Kiem district and watch life go by as you sip slowly and sweetly. Gabriella and Nicolas are the food and travel storytellers behind , one of Gentedimontagna's 24 Best Travel Blogs and Websites. They recently completed a one-year overland journey from Brussels to Hong Kong. Follow their journey on , and on and at @thefunnelogychannel. They travel for the heart, for the mind, and to take the time.